They say “time flies when you are having fun.” I guess we are having fun. Because I can hardly believe it was last February that we closed on the Dirty Diamond. I still feel like we have so much more to do. But Swiss Army Knife Jon aka-my husband (that is his Instagram Name–he always has a Swiss army in his pocket) assures me, ‘We do not.’ I think it is just trying to learn to be patient and wait on when there are no sports activities, no family gatherings, no work related obligations, the planets are aligned, etc. to find the time to work on the house projects. We are still so thankful our wooden floors “fixed” themselves after our flood fiasco. We were able to save the carpet in the girls’ room and have it reinstalled a couple of weeks ago. We did have to purchase a new pad for their bedroom but if that is all that we were out after this nightmare, we were so grateful. 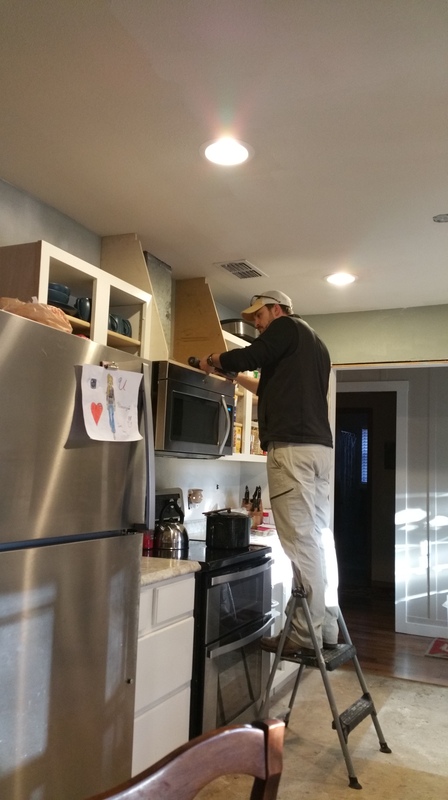 Currently, we are prepping the kitchen for painting the cabinet doors and Swiss Army Knife Jon is building a vent a hood to go over the microwave. What would we do without Houzz.com and Pinterest to give us the inspiration we need to build what we want? I’m also thankful for a guy who just has the ability to build things. My brain just doesn’t work that way. 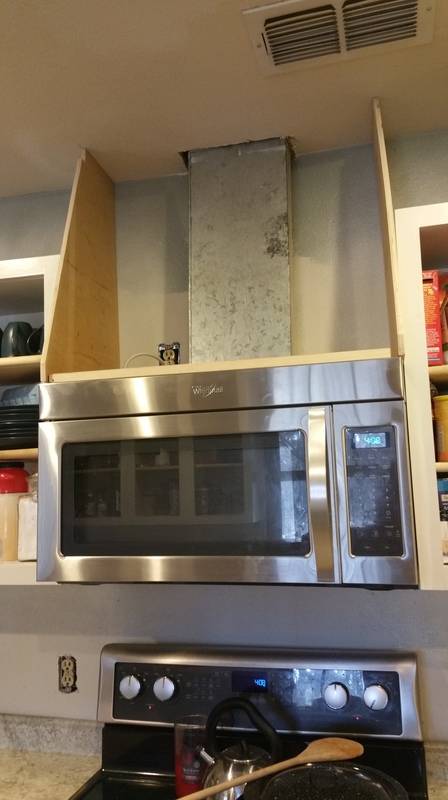 I’m looking forward to be able to share with you the kitchen once it is done. I probably will post pictures as we go through the process.However, I will wait until the ball is REALLY rolling along before we do that.